Founded in 1913, the family-owned company RESEDA-BINDER e.K. 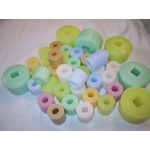 have been specializing in the research, development and production of paraffin wax rolls for four generations now. Based on this long-standing experience and unequalled know-how as well as on persistent and innovative management, we have evolved into the world’s leading manufacturer of wax rolls. 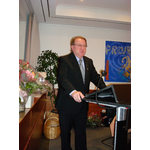 Our network of appr. 70 agencies ensures best customer support in technical services and quality. The close contacts with customers as well as machinery manufacturers is providing us valuable knowledge in the event of new developments to the benefit of all of us.